Okay, China. You win. 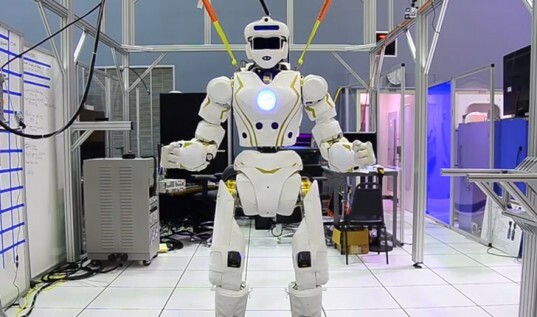 A space-themed hotel is pretty badass, but staffing it with robots? Total genius. 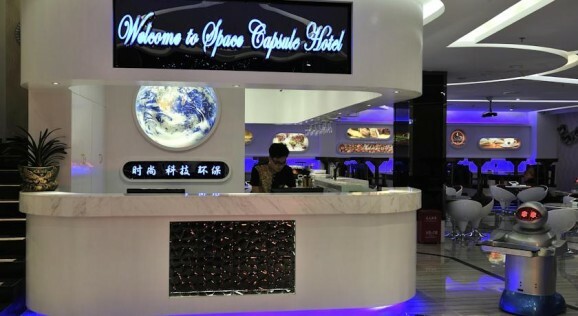 Given that most of us can’t shell out $250,000 to buy a ticket to low-Earth orbit on a Virgin Galactic spacecraft, we can at least pretend to be in space for only $11 a night if we can get ourselves to Shenzhen, China. We’ve heard a lot about Mars, and the dream of sending humans there, in recent years. The landing of the Curiosity rover put both the red planet, and space exploration in general, back in the headlines in a way it hadn’t been in a while. Hell, there’s even a reality show offering to make a select few volunteers the very first Mars colonists (although it’s a one-way trip). But while mankind has been dreaming of leaving human bootprints in Mars’ red soil for decades, figuring out the logistics of how to make it happen are challenging to say the least. Not only do you have to get people there safely, you have to ensure their survival once they get there. 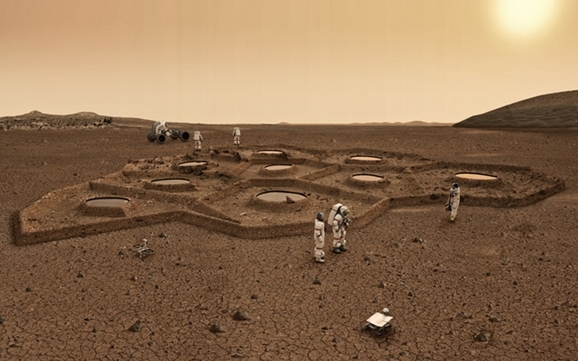 Now a group of German architects is proposing a clever way to create permanent buildings on Mars before any humans arrive. They’re heading underground. I have a feeling we’ll be debating the merits of the Mars One plan for the next decade or so, and perhaps even after the actual colonization mission is underway (if that indeed happens). I’ve been pretty critical about certain aspects of the plan, namely the reality television funding model, and people who know way more about the science than I do have expressed skepticism about whether the current mission model is feasible. The UAE even issued a fatwa against Muslims traveling to Mars, likening the endeavor to suicide. But not everyone is down on the idea of sending human colonists on a one-way trip to Mars. 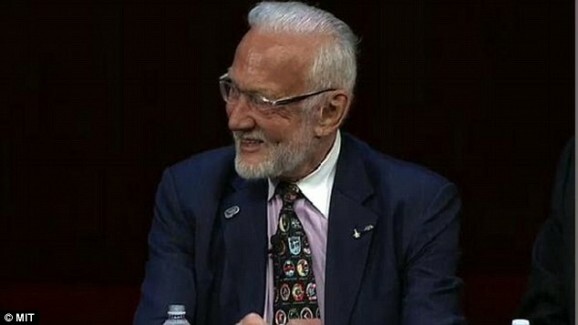 On Wednesday, the idea received got vocal support from a pretty compelling person: Buzz Aldrin. 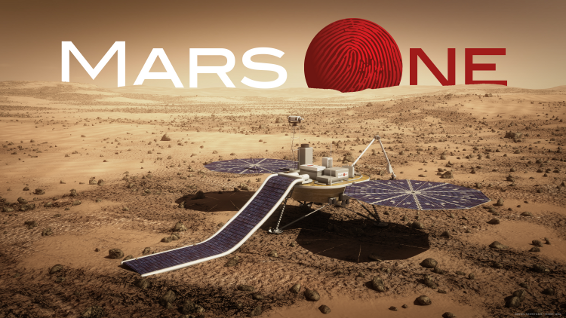 The Dutch nonprofit Mars One aim to send four humans to Mars in 2024 (two years later than in their original timeline) for a 2025 landing on the Red Planet. These four intrepid colonists will be joined by 4 more two years later, and then 4 more two years after that, until the colony reaches 24. Or at least, that’s the plan. But according to strategic engineering graduate students at MIT, the strategy, as it currently exists, may prove problematic. Unless the program makes some fundamental changes to its approach, the researchers predict that the new colony will be unsustainable and deadly for the colonists. The team developed a simulation of the settlement, per Mars One’s stated mission design. That simulation provided them with a tool to measure and predict how using the resources on the planet, growing crops, and future resupply efforts, will play out. Of course, this is just a model—no one can say with certainty how the mission will unfold, but creating and studying such models is one of strategy any Mars colonization mission organizers should rely on for insight about how to make their mission safer and, hopefully, more successful.